READ BY DAME VERA LYNN AND HER DAUGHTER VIRGINIA LEWIS-JONES. Forbidden love and family secrets In World War Two Liverpool in the heartrending new saga from the author of Goodnight Sweetheart. Born Vera Welch on 20 March, 1917 in the East End of London, Dame Vera Lynn's career was set from an early age - along with her father, who also did a 'turn', she sang in Working Men's Clubs from just seven years old. She had a successful radio career with Joe Loss and Charlie Kunz in the 1920s and '30s, but it was with World War II that she became the iconic figure that captured the imagination of the national public. Her spirit and verve, along with her ability to connect with the men fighting for their country and those left behind praying for their loved ones, made her the 'Forces' sweetheart'. Performing the songs that she will always be associated with, such as 'We'll Meet Again' and 'Yours', Vera toured Egypt, India and Burma to entertain the troops and bring them a sense of 'back home'. Her career after the war flourished, with hits in the US and the UK, but Vera was never able to leave behind her wartime role and was deeply affected by what she had seen. 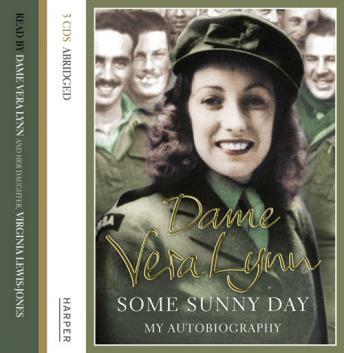 Still heavily involved with veteran and other charities, this is Dame Vera's vivid story of her life and her war - from bombs and rations to dance halls and the searing heat of her appearances abroad. Epitomising British fortitude and hope, Dame Vera gives a vivid portrait of Britain at war, and a unique story of one woman who came to symbolize a nation.